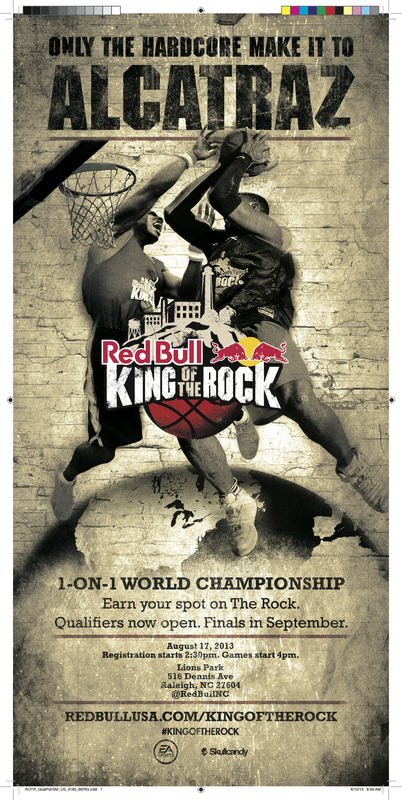 On Saturday August 17th, JSWISS will be hosting the Raleigh, NC leg of Red Bull’s worldwide “King of the Rock” 1-on-1 basketball tournament. DJ Forge will be on the 1s and 2s. The tournament will be held at Lion’s Park in Raleigh, and starts at 4 p.m. (registration for players at 2:30). First and second place win $1,000 and $250 respectively and a trip to Alcatraz to face the best in the world for a shot at $20,000.